Voyten Electric is a commercial electrical wholesaler who offers a variety of circuit breakers ranging from small single pole molded case breakers to large 15kv, 3000A breakers. We stock all of the major manufacturers such as Westinghouse, Cutler-Hammer, General Electric, ITE, ABB, Allen-Bradley, Siemens, Allis-Chalmers, Square D along with other names like Federal Pacific, Merlin Gerin, Roller Smith, Toshiba, and much more. Voyten can recondition the old and obsolete electrical equipment to extend its service life, and all reconditioned equipment comes with1-year warranty. The specialized staff at Voyten Electric provides retrofits for Westinghouse, General Electric, Allis Chalmers, Siemens-Allis, Federal Pacific, I.T.E., ABB, SQD as well as many other manufacturers. We can replace your existing trip unit with a newer version or provide a rental circuit breaker for temporary use. Voyten Electric also stocks all of the replacement parts for these breakers. Our experienced electrical engineers and electricians will work with you to determine the best options for your needs and provide high quality services for the best customer experience. The specialized staff at Voyten Electric provides retrofits for Westinghouse, General Electric, Allis Chalmers, Siemens-Allis, Federal Pacific, I.T.E., ABB, SQD as well as many other manufacturers. We can replace your existing trip unit with a newer version or provide a rental air circuit breaker for temporary use. Voyten Electric also stocks all of the replacement parts for air circuit breakers. Our experienced electrical engineers and electricians will work with you to determine the best options for your needs. Voyten Electric remanufactures new and used circuit breakers. 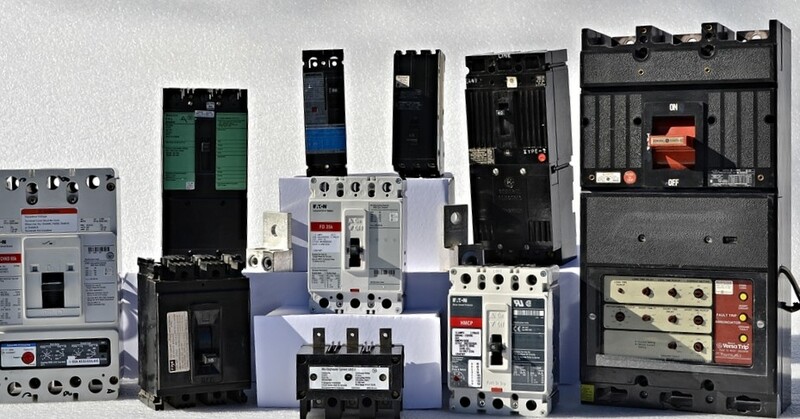 Contact us to find the circuit breaker you need.